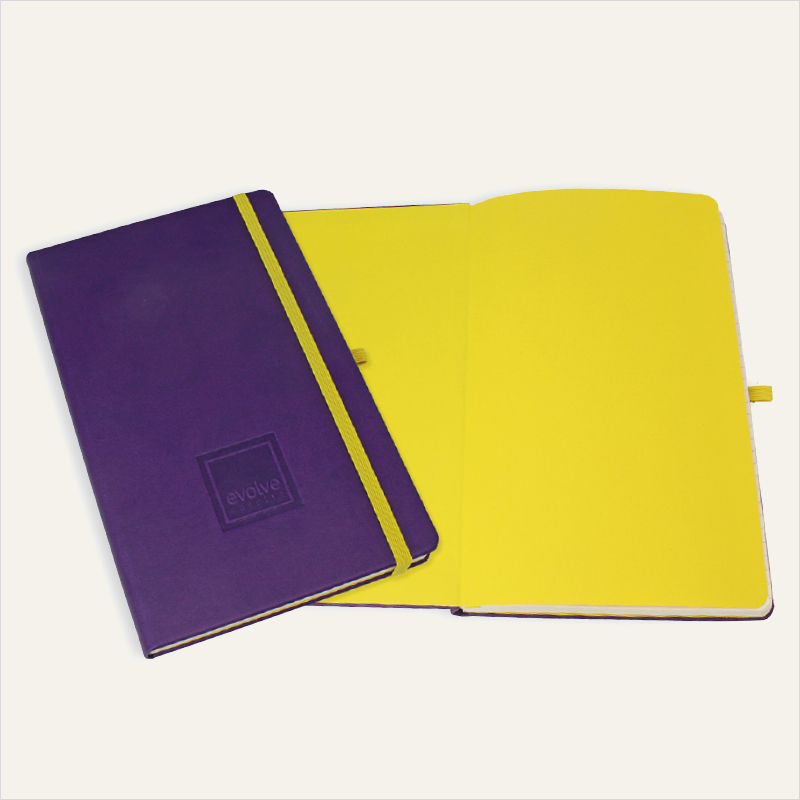 Medium sized bound note pad with ‘soft touch’ cover. 96 pages of ivory paper, lined both sides. 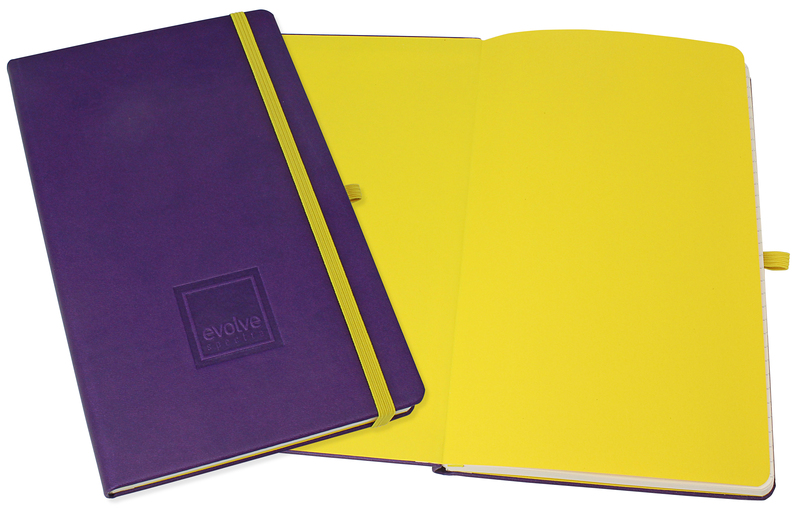 Each high quality pad comes complete with a colour coordinated ribbon marker and elastic fastener. Stock cover colours; midnight black, light blue, navy blue, lime zest green, citrus orange, blush pink, berry purple, fire engine red, ice white and sunshine yellow. Stock lining sheet /expandable pocket colours: black, light blue, navy blue, grey, green, orange, red, pink, and yellow.